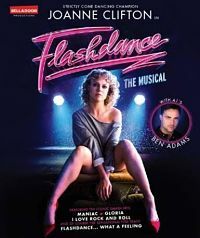 Flashdance – The Musical returns to the UK on an extensive UK tour for the first time since 2011 starring Strictly Come dancing's Joanne Clifton and singer-songwriter Ben Adams opening in Glasgow on 4th August . They will be appearing in the 2017 leg of the tour, casting for 2018 venues is still to be confirmed. Strictly Come Dancing Champion Joanne Clifton made her musical theatre debut in the role of Streetwalker in the UK premiere of the Irving Berlin musical Face The Music, followed by Marilyn Monroe in the Norma Jeane Musical. She is currently touring as Millie Dillmount in Thoroughly Modern Millie for which she received rave reviews. Ben Adams who is playing Nick Hurley is the lead singer of the band A1, who racked up 10 million record sales, 2 UK number ones, 5 studio albums and toured throughout the world, winning a Brit award among many others. As well as writing for other artists, he went straight to number 1 in the itunes charts with his classical album titled One Beautiful Mourning. His first solo album 1981 will be launched early 2018.Ben has also written a brand-new musical called 'EUGENIUS!' 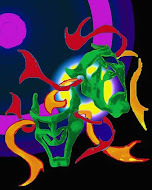 Which after a sold-out London Palladium performance, is set to hit the West End stage next year.